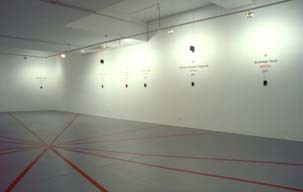 Site-specific gallery sound installation & fm radio-broadcast. 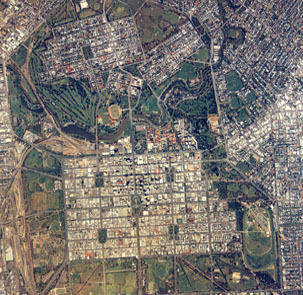 The sound and radio broadcast installation Cross-Winds was based around the Adelaide city plan, one that is derived from Cataneo's Renaissance interpretive design of the Vitruvian city plan. The grid plan of the city - the grid being the traditional matrix of new urban beginnings - is the perfect colonial model. For the city of Adelaide parcels of land, delineated on paper, were pre-sold in England prior to the construction of the city. This grid plan is constructed around the design of the wind rose. 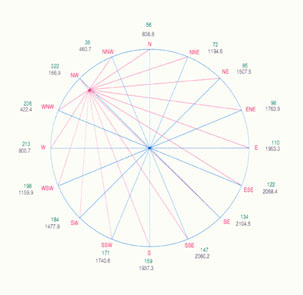 The rose of the winds is part of the fully developed magnetic compass and is used as a basis to produce a ‘safe’ grid - one whose streets are orientated in such a way that none of them would face the major points of the compass from where the strongest, most disruptive winds were thought to blow. According to the Vitruvian plan outlined in his 10 Books of Architecture, the Vitruvian vision was 'preoccupied with pragmatism of the cities' protection. It was circular for defence, polygonal to break the force of the winds and radial to avoid their direction'. The resulting formation responds to the Renaissance search for purity and order. For Vitruvius the perfect architectural form should be analogous to the proportional symmetry of the classical male ideal body, a perfect unity. 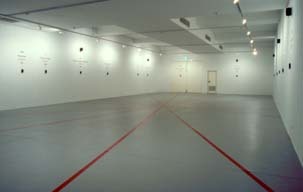 Working with a cartographer, the Experimental Art Foundation Gallery was ‘located’ within the compass wind rose co-ordinates of the city of Adelaide, hence the space itself became a wind rose. 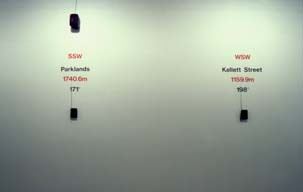 16 radio receivers were placed on the walls around the gallery reflecting the precise points of orientation and location of the winds within the city, and the receivers were tuned to a dedicated FM station airwave that broadcast female vocal extracts from well known operas. From 8 speakers on the gallery walls two specially recorded female voices hummed in unison fragments derived from opera scores. The sound of the voices emanated in concentric circles mapping the trajectory of the wind rose, those ‘disruptive’ elements blocked out from the vision of perfection the city proposed. These echoes of the female voices could be heard alongside that of the parallel radio broadcast. Director, The Experimental Art Foundation, and project curator. 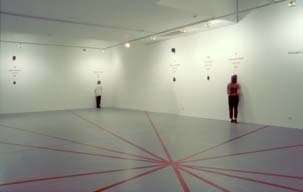 Cross-Winds, The Experimental Art Foundation Publication, 1996.